Whether you are a professional painting contractor or a homeowner, one of the most common paint problems you may encounter is mildew. Often mistaken for dirt buildup, mildew appears as a black, gray, or brown discoloration on a painted surface. 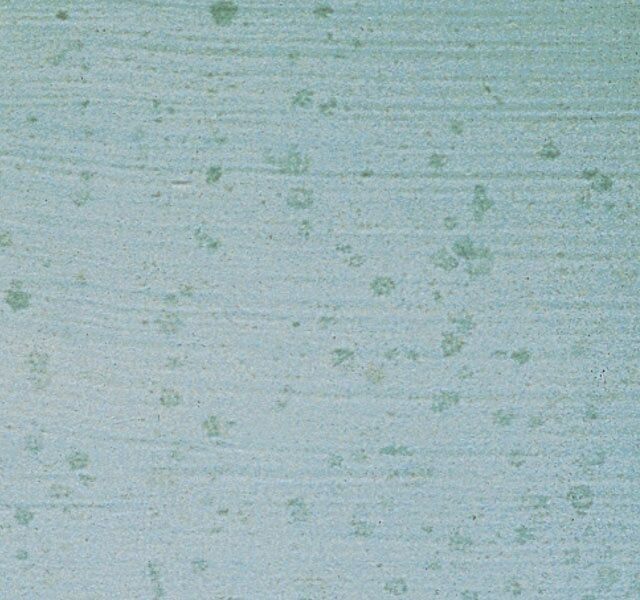 Many mildew resistant paints are now on the market, but how do you clean mildew that is already there? Mildew thrives in damp environments with little exposure to sunlight. Though it is most commonly associated with high-humidity spaces like bathrooms, mildew can affect most painted areas, including home exteriors. Once developed, it is generally easy to get rid of mildew and prevent it from coming back—as long as the correct process is followed. Before steps are taken to remove mildew, you should determine if the surface spots you are seeing are actually mildew. You may have heard the words “mildew” and “mould” used as if they are identical, but mildew is actually a type of mould, and is typically less harmful than the black growth it gets confused with. To check whether mildew is present, apply a few drops of household chlorine bleach to an affected area. Mildew will lighten or disappear within a few minutes, while dirt will remain. If this happens, the good news is that the paint has not deteriorated and the mildew can be removed. Using lower quality paints, which may not be formulated for mildew resistance. Painting in damp, dark areas that have little access to sunlight or dry air. Not priming a surface prior to painting. Painting over a substrate or coating from which mildew has not been removed. Never paint over mildew—it will grow through new paint, which will make subsequent cleaning and maintenance even more difficult. Wash the affected surface with a mixture of household bleach and water—three parts water to one part bleach—or with a household cleanser designed to kill mildew. Scrub the affected surface with a soft brush. Use a high quality, mildew resistant paint, such as Aura® Bath & Spa, our choice for a mildew resistant paint for bathrooms. Clean and sanitize surfaces prior to painting whether mildew is visible or not. For interiors, wash walls thoroughly using the 3:1 household bleach solution. Home exteriors can be power washed using the same solution. Thoroughly rinse surfaces after and allow to dry. For interiors, install ceiling fans, exhaust fans, or dehumidifiers in rooms that are susceptible to mildew growth, such as bathrooms, laundry rooms, and kitchens. For exteriors, allow for as much sunlight towards the painted areas as possible, and redirect moisture sources, such as dripping air conditioners, misdirected sprinklers and leaky gutters. 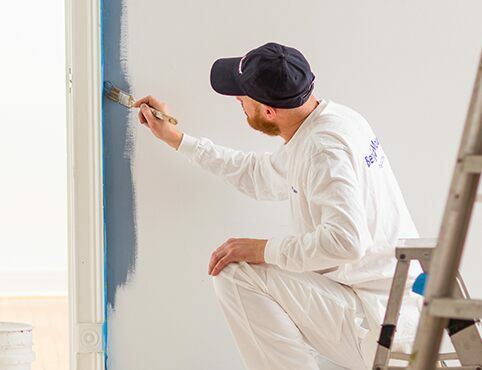 Tackle a wide range of projects and paint issues contractors face every day. 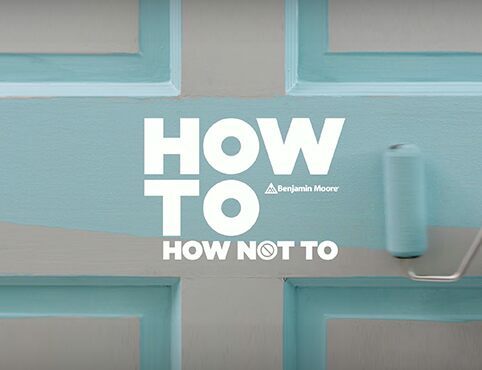 Helpful how-tos about painting with our products. 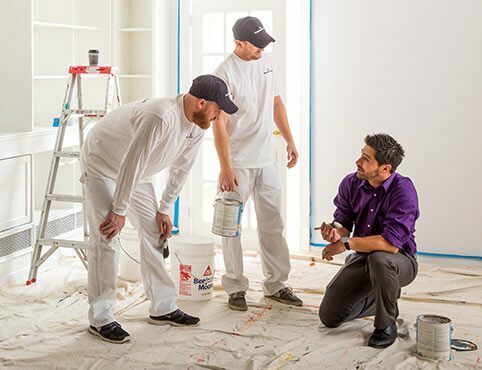 Help your business grow with solutions from the professionals at Benjamin Moore. Follow @BenMoorePro for content created specifically for professionals, including the latest product information and special offers through Contractor RewardsTM. Our contractor professionals can support your educational needs, provide product and colour support, and help you grow your business.